Having naturally curly hair, means never a dull moment especially when you wake up in the morning. Curly hair has a mind of its own. In the past few years, using a hot iron to wear my hair straight, took it’s toll on what was otherwise pretty healthy hair. So, now I try to do little things to keep my hair in the best shape. Today, I will give you my tips and tricks on how to keep your hair healthy from the inside out, curly or straight. First of all, start with a good Vitamin regiment. I use a hair, skin and nail supplement called Biotin. I attribute my fast hair and nail growth to it. Find what works for you. Make sure to check the label if you have an allergy to it. 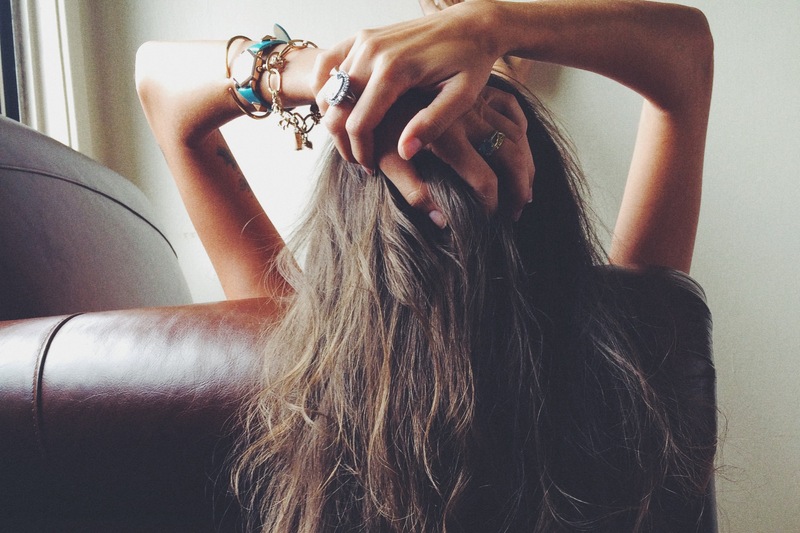 Believe it or not, drinking lots of water will make your hair look amazing as well. For my hair, I never wash it more than twice a week. If you have straight hair, your hair will get oily faster than us curly-haired people. When I do wash my hair, I use Morrocan Oil Shampoo and Conditioner. While my hair is wet, I spray the Morrocan oil on the hair, brush it out, proceed to blow drying and straightening with my iron. To get the big curls I create, just twist the straightening iron around while the hair is going through the iron and you’ll achieve that look. It makes the hair have a big curl effect without a curling iron. On the 2nd or 3rd day of my hair being straight, sometime I will use salt water spray to get the messy beachy curls look. I’ll spray it and scrunch it. You can even put the blow dryer on low while you scrunch. If your hair is long and curly naturally, this tip will work for you. For the people with straight hair wanting this look, you can do this two ways. The first way, you will want to put a light holding agent on your hair after it’s towel dried, then go ahead and put your hair in two buns on each side of your head. When you feel the hair is dry, take the buns out and you will have a nice natural wave. Spray it with some hair spray. The other option would be using a 1 inch curling iron and wrapping small portions of the hair around the iron spraying it with hair spray and that you’d achieve a similar look. If you are looking for a hot oil treatment, I use coconut oil in my hair while I’m in the shower. Sometimes, I’ll leave it on while I clean my house, then wash it out later. This is a great idea if you feel your hair need extra moisture. If you aren’t in the mood to spend $15 on the Bumble and Bumble Sea Salt Spray, here is how you can do it yourself. 1 teaspoon sea salt. If you have very oily hair add more salt.